September 1, 2017 (San Diego) --- Citizens' Oversight, a nonpartisan group that focuses on election integrity, announced today that it has filed written comments in opposition to CA AB-840, a bill which will make drastic changes to the one-percent manual tally of elections, which would omit 40% or more ballots from the scrutiny of this important audit process. Local Assemblywoman Lorena Gonzalez-Fletcher (D-San Diego) is a coauthor of the bill. ECM asked Vu late Thursday for comments. Vu replied via email, “The amendment came through and is sponsored by the California Association of Clerks and Election Officials (CACEO) and is supported by the Secretary of State and the County." April 17, 2016 (San Diego) --In light of issues in some other states about long lines to vote, cuts in polling places or numbers of voting machines, lack of enough voting machines on college campuses and Indian reservations, and an inquiry from a reader, we sent questions to San Diego Registrar of Voters Michael Vu. We also asked about deadlines to register to vote , change parties or get a mail ballot for the June 7 primary, and procedures to verify your registration. In addition, we got information on how you can vote early, as well as the need for poll workers, particularly bilingual poll workers for the election. Below are our questions, along with Vu’s responses. June 6, 2014 (San Diego County) - The voter turnout in the San Diego County for the June third primary elections surpassed expectations of a low turnout, the results were 20% equalling to 1 in 5 registered voters casting a ballot. November 2, 2013 (San Diego) – If you speak Chinese or Vietnamese, the Registrar of Voters needs your help at local poll sites on Nov. 19 for the San Diego City mayor’s race on November 19. Registrar Michael Vu says there is an urgent need for more bilingual volunteers to help citizens who are not yet proficient in English to vote at the polls. Chinese and Vietnamese new poll worker orientation training classes are offered. 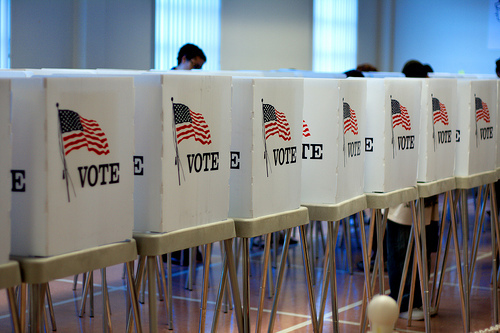 Bilingual poll worker volunteers can earn a stipend of $90 to $110. All poll worker volunteers must be U.S. citizens, registered to vote in California, and able to read and write the English language.